Tire Giants, LLC is Philadelphia's largest New & Used tire super warehouse. 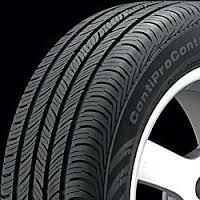 Specializing in discount pricing on both brand name new and used tires. All new tires come with a free road hazard warranty and all used tires come with a warranty. $0-$49 DOWN NO CREDIT CHECK (0% FOR 90 DAYS) FINANCING!! DRIVE HOME WITH A BRAND NEW SET OF TIRES!! - 90 DAYS SAME AS CASH!! - ANY NEW OR USED SET OF 4 TIRES!! WE NOW FINANCE WHEEL & TIRE PACKAGES TOO!! 16 INCH NEW WHEEL & TIRE PACKAGES STARTING AT $749!!! 17 INCH NEW WHEEL & TIRE PACKAGES STARTING AT $779!!! 18 INCH NEW WHEEL & TIRE PACKAGES STARTING AT $879!!! 19 INCH NEW WHEEL & TIRE PACKAGES STARTING AT $1079!!! 20 INCH NEW WHEEL & TIRE PACKAGES STARTING AT $1299!!! 22 INCH NEW WHEEL & TIRE PACKAGES STARTING AT $1449!!! NO CREDIT CHECK 0% FOR 90 DAYS!! APPLY HERE FOR TIRE & WHEEL FINANCING!! Apply online get approved and just come in and get your tires installed!! COME WITH A 1 YEAR WARRANTY!! GUARANTEED TO PASS ANY STATE INSPECTION!! GUARANTEED TO PASS ANY LEASE RETURN REQUIREMENT!! Contact us: Request more information here!